At BreakWay, our support group programs are designed to help families overcome the waves that crash through life’s journeys. Finding support is the first step in discovering a redemptive perspective about life’s experiences. Our program provides program coordinators and group facilitators with the essential tools needed to equip participants in embracing the journey to recovery. 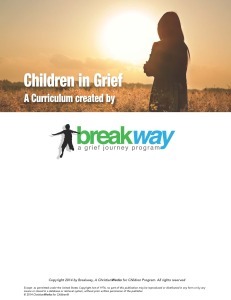 BreakWay currently offers two programs that are designed to equip churches and counseling centers with the materials needed to start a support group for children ages 5-18. At BreakWay, our goal is to serve the emotional needs of families and children on a national level, which is why we recruit churches and counseling centers all over the United States to host BreakWay in their communities. Learn more about each of our programs by clicking the icon below. 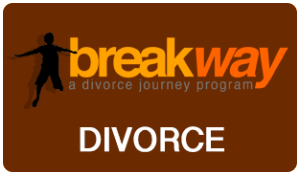 What should families expect when attending a BreakWay program? Our BreakWay programs incorporate a variety of group sharing, therapeutic art and play activities lead by locally trained volunteers. A support group should not be considered treatment as it is not lead by licensed professional counselors but rather by volunteers who have a passion for helping people through life’s journeys. Who can participate in a BreakWay program? Children ages 5- 18 and their guardians. 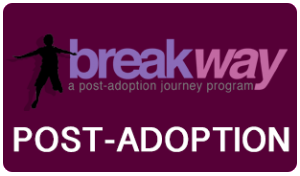 Adults can choose to participate in the adult support group or use their time waiting for a child as they see fit, but a child is never unaccompanied at a BreakWay Program. How many volunteers do we need to run the BreakWay program? You need one program coordinator and eight group facilitators (two for each of the four age groups – littles, middles, teens, adults). Your facilitators do not have to be licensed counselors or mental health providers. We do recommend that your program coordinator be a licensed mental health professional or have previous experience offering support programs, if possible. All of your facilitators must go through a training seminar. All of the material for this training is provided as part of the BreakWay curriculum program. What do we get with our purchase of the BreakWay program? Upon making your one time purchase of the BreakWay curriculum, you will receive an email confirmation with login credentials. You can use these credentials to login to the BreakWay website and download and print all of the materials associated with your program. This includes the curriculum and facilitator training guide, as well as a family intake packet. We are also working on a media kit that will help you promote the program within your community. This kit will be available in the fall of 2016. Don’t see a BreakWay group in your area? Start one today by purchasing our programs online! We are thrilled that you have considered becoming a coordinator for a BreakWay program at your counseling center or church. The goal of our online curriculum is to guide you and your group facilitator team through a variety of weekly activities for children and their families. Select an image to view a PDF sample of the curriculum. You will need a PDF viewer in order to view these files. 1. Check your inbox. After purchasing your program online, you will receive a confirmation email including log-in credentials to get started. 2. Log-In. Once you log-in to your new online profile, you will find a step by step guideline that will help you understand how to use your profile and where to find your materials. You will receive a facilitator training manual and the curriculum for each age group session and a media kit to help you advertise this new program your organization is now hosting. 3. Recruit a Volunteer Team. In order to start a BreakWay program at your organization, you must have 8 group facilitators to guide the discussions for the four groups. It will be important to start collecting a group of interested volunteers to serve in this capacity. BreakWay requires two group facilitators to be in each room. 4. Schedule Dates. Schedule a BreakWay night at your organization. The time you set for your program is up to you and your team. Many BreakWay groups offer a meal for participants before they begin their group time. Sharing a meal is a great way to get to know others in the group and create a trustworthy community for each member. 5. Publicize. This is an opportunity to work with your organization to publicize your new program. We will provide you with a media kit (various collateral and branding materials) to help you promote BreakWay in your community. 6. Lead. We can’t wait to hear feedback from you on how your group is going. We know that by you taking interest in your community, this will have a lasting impact on the families you and your teams are able to serve. Thanks for joining the BreakWay family! Interested in purchasing multiple programs? 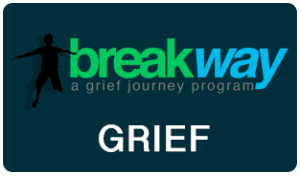 If you purchase BreakWay: A Grief Journey Program and BreakWay: A Divorce Journey Program together you will receive an additional 25% off your total purchase! BreakWay groups are being hosted all across the United States. Contact us to learn more about starting a support group in your church or organization.